St. Albans is a school that values standards and achievement. We are extremely proud of all that goes on here. The children at St.Albans are supported in their learning by dedicated staff, governors and parents. Information taken from St Alban's Catholic Primary School website. We are a Voluntary Aided one form entry Mainstream Catholic Primary School with Nursery Provision for 3 year olds. We have an on-site Breakfast Club from 8am and links to a local after school club. Not all toilets are accessible but we do have a disabled toilet facility. Have access to the school’s SEN and disability Policy and their child’s entitlement within the SEN and disability framework. That the Governing Body is kept informed of developments at least annually and to have a SEND Link Governor. Appropriate training / INSET related to special needs and disability is in place. Parents will have access to the SEND policy which is in place in line with the requirements of the Code of Practice. All staff are aware of the contents of the SEN and Disabilities policy. The class teacher is responsible for working with the pupil on a daily basis and for planning, delivering and assessing an individual learning programme which should be recorded within an IEP/ Provision Map and should be as inclusive as possible. Special equipment or resources as appropriate to need. Intervention programmes and where appropriate extra adult time devoted to the nature of planned intervention and monitoring its effectiveness. The SENCo will oversee further assessment of a pupils’ strengths and weaknesses and monitor and review the impact of the action taken. Individual and personalized Parent/Teacher/Pupil Learning Review meetings to discuss targets and progress. Involvement of other professionals and access to relevant reportsThrough our systems parents will be kept up to date with all developments and will be invited to review the progress of their child. 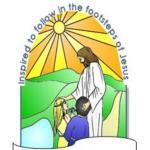 As a Catholic Primary school we work and live our Mission Statement which is “Inspired to follow in the footsteps of Jesus at St Alban’s we work together, play together and pray together” Our PSHE curriculum is based on SUMO but is closely linked with our RE curriculum which covers many moral and pastoral issues as well as teaching our Faith. We have a caring staff and usually identify particular key people so that children know who they can talk to if necessary. We promote positive attitudes and behaviour and relationships for all children throughout their time in school. We work closely, where necessary, with other agencies such as the School Nurse and can seek appropriate specialist advice and support when this is appropriate. Good and outstanding teachers providing an inclusive curriculum for all children at all times supported by high quality Teaching Assistants. Whilst we have no specialist services on site we can access external agency support provided the child’s needs meet the criteria; there can however be a waiting list to access such services. Training from other external agencies as required. Staff training will support the development of the skills of all teachers in meeting the needs of pupils with SEN and disabilities. Lessons are as inclusive as possible; with adjustments made depending on need. Children with SEND are included on all school visits and residentials. St Alban’s building and grounds are as inclusive as possible with wheelchair access and accessible toilet facilities. St. Alban’s enjoys a good working relationship with St. Gregory’s Catholic High School and other local high schools and will endeavour to provide a smooth transition for all with additional meetings planned for ‘vulnerable’ children. We work closely with other nursery provision to ensure smooth transition into our school from other settings. Children new to the school are invited to meet their class before joining us. Children in all classes meet their new class teacher before the start of the new school year; parents can also meet new teachers. Our SENCo works closely with other SENCos and other professionals involved in a child’s care to ensure transition is as worry free as is possible. School's resources are allocated and matched to children's needs through developing, managing and reviewing a Provision Map (Provision Management). School resources are deployed to best meet the needs of the individual learner. Schools assessment procedures, formal and informal, form the basis of such decisions and resources are allocated following the review of the provision map.